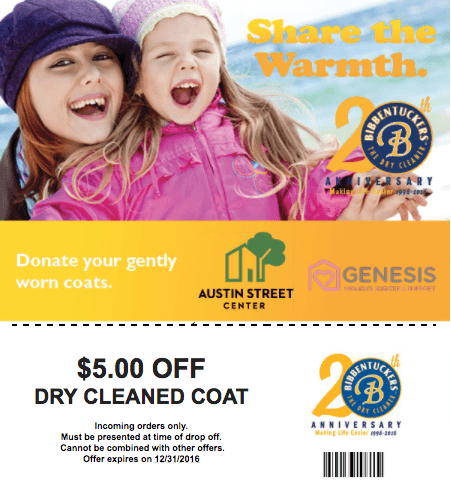 With arctic air blasting its way into North Texas, it ushers in the official start of winter, Bibbentuckers is asking customers to donate their gently worn coats throughout the month of December. 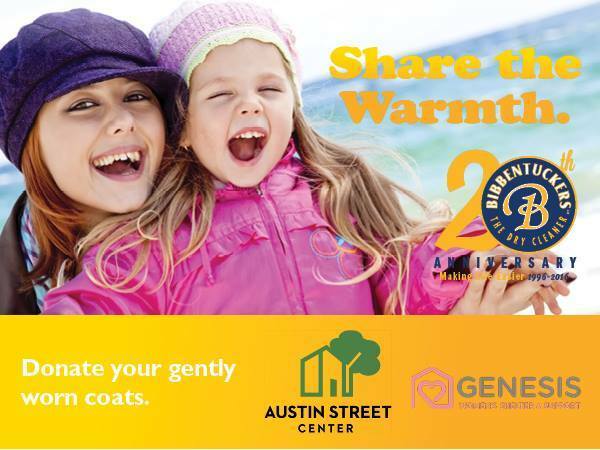 This donation will help needy men, women, and children in North Texas to stay warm. Finally, coats may be dropped off at any Bibbentuckers location or included in the Bibbentuckers Blue Bag for your delivery route manager. Please note clearly that the coat is intended for a donation! 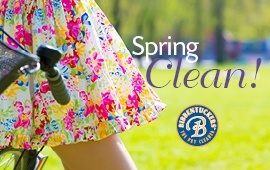 Customers may also enjoy $5 off any coat cleaning through December 31. “Through this coat drive, Bibbentuckers hopes to make the holidays a little brighter. And the winter a little warmer for our neighbors in need,” said Palms. The Austin Street Center is an emergency shelter serving men 45 and older and women 18 and older. The center offers a safe place to sleep, shower, clothing, and meals. The Austin Street Center also provides services to help men and women transition out of homelessness. The center provides work readiness, financial literacy, life skills, mental and physical health, spiritual growth, and substance abuse support. Learn more at www.austinstreet.org. The Genesis Women’s Shelter commits to raising the level of community awareness to the pervasiveness and effects of domestic violence. Furthermore, the organization provides shelter, safety, counseling, and expert services. More than 1,200 battered women and their children are helped each year. Learn more at www.genesisshelter.org.